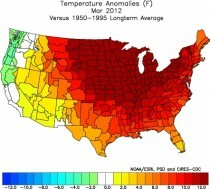 Why the U.S East Coast heatwave was not unusual nor the number of record temperatures unprecedented. | Watts Up With That? This is a combination of two posts elsewhere that illustrate just how much hype and how little substance the MSM and blogs like Grist, Climate Progress. and Capital Weather Gang have been pushing trying to make a run of the mill summer heat wave seem like an event of unprecedented global warming proportions. It isn’t, and not even close compared to weather records history of the past. Spread these far and wide, anywhere the hype manifests itself. There have been 372,989 correctly recorded daily high temperature records in the US since 1895. 84% of them were set when CO2 was below 350ppm. Compare the number of record highs in the 1930s to the past decade. You can see that the 1930s were consistently much hotter. Bear in mind, that since the 1930’s, when the majority of America (and weather stations) were rural, we now have many more large cities and many weather stations compromised (~90% of USHCN stations in Category 3,4,5 from Fall et al) by affected by urbanization encroachment. Following the super La Nina of 2010/11, we had a period of extremes – snow and cold to start, then floods and drought, tornadoes and heat and a landfalling hurricane. As the La Nina faded but the eastern and northern Pacific water remained cold, a warm and dry winter followed in 2011/12 much as the warm winter of 1918/19 followed the super La Nina of 1917/18 which was the only colder, snowier La Nina this century. The warmth peaked in March. With the exception of the Pacific Northwest, most of the nation was well above normal with many daily record highs. Warmest March in the record books for the lower 48. The warmth has continued but gradually subsided since then. Despite the high number of record daily highs, this is a US centric warm event. 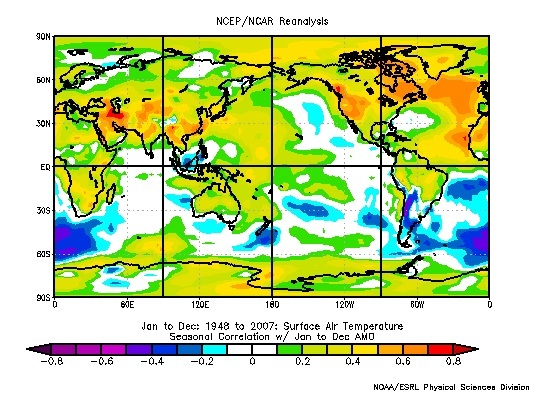 The NCEP CFSv2 global anomalies from the winter through early June have been much of the time below the 1981-2010 average. The deep Eurasian cold wave shows in late January. 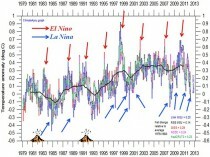 Looking back over the last century, you can explain global temperatures by ENSO and volcanism and the ocean multidecadal cycles that favor a particular ENSO state. Here is the plot since 1979 of all data sets with ENSO and volcanism indicated. 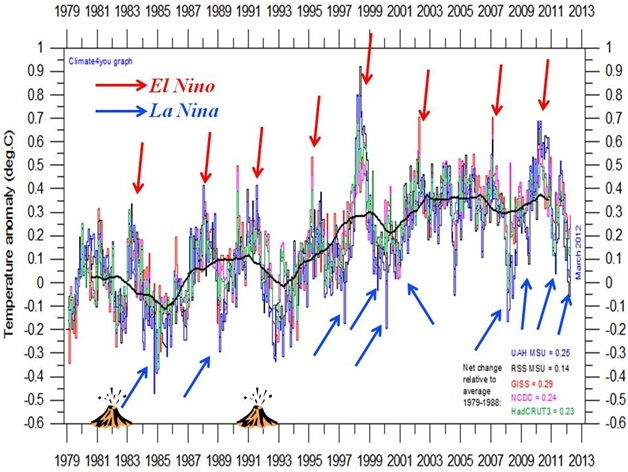 El Ninos bring a short term warming, La Ninas a dip in global temperatures. The warm mode of the Pacific from 1977 to 1998, led to a net warming. Major volcanoes produce a cooling as we saw in the early 1980s and early 1990s, lack of volcanism (like we have seen since the middle 1990s) means more solar radiation at the surface and enhanced warming. In 1995, the Atlantic went into its warm mode, which means a warmer annual temperature in the Northern Hemisphere. May for the US was warm again making the last year in the US allegedly the warmest in the record, but as John Christy of UAH noted from the satellite perspective, it was notable only in the lower 48 (see). Again in the Pacific Northwest, it actually was colder than the 30 year mean for the fifth straight year. •Spring temperatures across the Northwest Region have been trending downward at a rate of 0.59 degrees F per decade during the 30 years since 1983. •Spring temperatures across the Northwest Region have been trending downward at a rate of 4.10 degrees F per decade during the 10 years since 2003. A Cold west usually translates to warmth further east as we saw in the 2010 and 2011 summers. As hot as it has been the past two summers, the heat is not cracking all-time levels. Here is the latest decadal plot of all-time records for the 50 states. When multiple years are tied, the latest year/decade is used. The 1930s stands out as the hottest decade, the 1910s and 1950s were second, 1990s third and 1980s fourth. This decade doesn’t rank although it is early. All time cold records look like this. New York City reached 100F last summer, but that was common from the 1930s to 1950s. Oh by the way see how the 100 degree days compares with CO2. Here is Des Moines which has seen fewer and fewer 100F days in recent decades. The state monthly records through the end of the 2009.. This depicts the 12 monthly records for the 50 states (600 data points). There were likely March heat records set in some states and perhaps some other months so the 2010s will show and take away from some prior years. See Bruce Hall’s 2010 guest post on Roger Pielke Sr.’s Climate Science here. ICECAP NOTE: ICECAP was one of the earliest ‘realist’ climate blogs that provided insight into natural factors and challenged the orthodoxy. Your donations helped us maintain the site and provide some support for the time invested in keeping it updated. One or more posts have been added a day for going on 5 years now now totaling 6,082 entries. 305,205 have enrolled as members with a total of 32,446,550 page hits. All the posts are archived. We maintain them in the archives and have a good search tool. I maintain the site as best I can – maintaining a secure site with high traffic is expensive. You can help with even small donations – see the DONATE button left or email me at frostdoc@aol.com for an address to mail a check if you prefer not using PAYPAL. Rest assure, we have never had an issue with Paypal although they get a piece of any transaction. I have had at times had to subsidize the site from month to month. I don’t like having to ask people for donations but our side despite all the claims to the contrary is not subsidized/ endowed with money and grants like the alarmist blogs like RealClimaate and Climate Progress. You will never see them ask for donations. They get all they need from their liberal foundations and eco groups. ← Taxing Termites, Wetlands, Volcanoes and Sacred Cows? @Paul K2. You say that a loss of Arctic ice leads to a slow down in the Jet Stream which in turn allows weather patterns (like the current heat wave) to stick around longer. The strongest / longest heat wave in recent memory was in the 1930s. Can you comment on Arctic ice loss then? I would like to believe climate scientists know what they are doing but my concern with your logic is they focus on short term effects and extrapolate them into long term ones. This is probably a spurious worry. It gets to be a lot harder to have a record temperature as time goes on since each record has to be hotter/colder than the last record. One might suppose that if the threshold to record-dom has risen over time yet plenty of new records are being established, it might be an unusual cycle. to make this easier to understand, a temperature need only beat four other temperatures to be a record in year 5 of collecting readings. When you get to year 100, you need to beat all of the previous temperatures. Show me what I’ve missed. Question: do the peaks in the 1930s have anything to do with recording history? I.E. if we’re talking about “records” rather than just “days over 100F” then you’d expect there to be a lot more records set in the early days of record keeping than you’d be getting 50 or 100 years later. The record high – vs- time chart does not mean as much as it seems. If temperature on any given day at each place were a random number between 0 and 110, and you tracked new highs (or lows) vs time, you would expect to see an exponential decay from t0 that approaches zero new highs per year after a span determined by the PDF of the random number generator. That the count is high, but stops declining does not support the argument that nothing odd is afoot. I don’t think it is odd, I’m just picking on that chart. Yeah, glad to see some other folks called it too. Math literacy exists at WUWT. New records of this kind decline with time. Thought I was first due to moderation delay. Agree with the other comments…..in the first year of record every single day sets a record for that day….this obviously falls off over time if there is stationarity. wouldn’t one expect more records set in the 30’s than currently…..unless stationarity is violated? Would you please post the corresponding plot of USCHN daily minimums each year? This second sentence does not follow from the first. 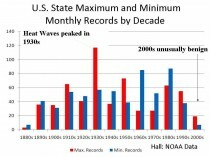 “Compare the number of record highs in the 1930s to the past decade. You can see that the 1930s were consistently much hotter.” It should say the 1930s consistently set more temperature records. They may have been hotter, but that does not follow from the number of temperature records. Eventually, we may have a year with no temperature records that is warmer than 30s. It may be in the next interglacial, but it should happen eventually. Capital Weather Gang likes to tout Reagan National Airport (DCA) with its expanded gravel around the thermometer (mainly raises low temps on calm nights) and large, new parking lots about 1/2 mile away (raises daytime highs with a west or SW wind). Our heat is real, my own thermometer hit 102 in a field with no parking lots or towns within 5 miles. Manassas is probably representative (100 or 101 the last couple of days). DCA could arguably add a degree to that, any extra would be new urbanization. Ian (CWG) has pointed out that the thermometer used to be on the roof in various places (downtown and at the airport), so some of the old record highs may also reflect artificial local heating. So past and current DCA data is old crap compared to new crap. Dulles Airport (IAD) has some development around it and BWI has some local effects. Airports here and elsewhere are usually not good for recording temperature and CWG knows that but rarely informs their readers of that fact. KevinM says:	“The record high – vs- time chart does not mean as much as it seems. If temperature on any given day at each place were a random number between 0 and 110, and you tracked new highs (or lows) vs time, you would expect to see an exponential decay from t0 that approaches zero new highs per year after a span determined by the PDF of the random number generator. This is fair point, and without knowing the methodology involved in making the chart, I cannot say whether it is a problem for that particular chart. However, there are a large number of analyses not subject to this particular problem, and they generally show the same pattern: that the greatest extremes of heat occurred in the thirties. One way to circumvent the tendency of setting records to decline as records get longer is to allow ties to go to the recent record: this induces a bias of the opposite kind, of course, but surely warmers couldn’t complain you were using a record biased to show current conditions cooler. This technique was used by Bruce Hall, and the result is shown in the last figure above. Clearly the recent period doesn’t compare to the past. That was shown in an EPA document where they emphasized how awful it was that there were warm events recently, concentrated in the night time. The graphic appears to be related to the work of Ken Kunkel and colleagues, which show a clear maximum of heat waves in around the 1930’s. It is very easy to set ‘new records’ just start using a different reporting station in say 1970 (or even 1998) and don’t go back into the obs from the previous. I think you will find many of the records are caused just like that. Well for starters, the earth had been warming up for the last several centuries, most of it long before CO2 increases started to become significant. Given that the earth has been warming for several centuries, we would EXPECT record highs to be posted every year due to natural on going processes. That said, the temperature records we have are rather uneven. We don’t have temperature records going back to the age of Viking communities in Greenland for example. So, we know it was clearly warmer then that it is now, but a *recent* high in Greenland would constitute a “record” based on the very short temperature series we have from there, while a relatively high temperature in say central England where we have the very long CET to refer to might not be. If one truncated the CET to the same length as we have from Greenland… it might be again, while also being cooler than it was when the Vikings colonised Greenland. Which is why screaming about records (both high and low) is pretty much meaningless. Until we have enough data to determine what baseline natural trends actually are, all the wailing and gnashing of teeth about records is just silly. Or just “adjust” some of the old records. Most of the biases discussed here would be overcome by using the ratio of new highs to new lws. If you don’t like ratios, you can plot the log ratio. The relative number of new highs to new lows has gotten much higher of the past 20 years and has been rather extreme lately. Where I live we just had four days in a row above 100 for the first time since records have been collected 1895. Really unfortunate for people who have been without electricity for 9 days due to extreme wind damage to trees throughout the region. As several others have pointed out, the frequency of records, both high and low, should decay with time. On the first day of a particular site’s record, it is both the record hot and record cold day. With the passage of time, records get harder to break. It would be more interesting to see how many new recording stations were added over the years. Gentlemen, you’re missing the point. The spurious claim by the alarmists is that there are a record number of records being broke. It is isn’t true. The record number of records being broke is in the 30s. Yes, we would expect a decline in the record number of records, and we do see it. What we don’t see, and if it were true should concern us, is that a record number of records being broke. Those charts aren’t showing the number of record highs/lows that were records at the time they were set. They are showing the number of record highs/lows during each decade from a 2012 perspective. For example, let’s say during a given decade, 500 record highs were set and 350 of them have been beat since then. 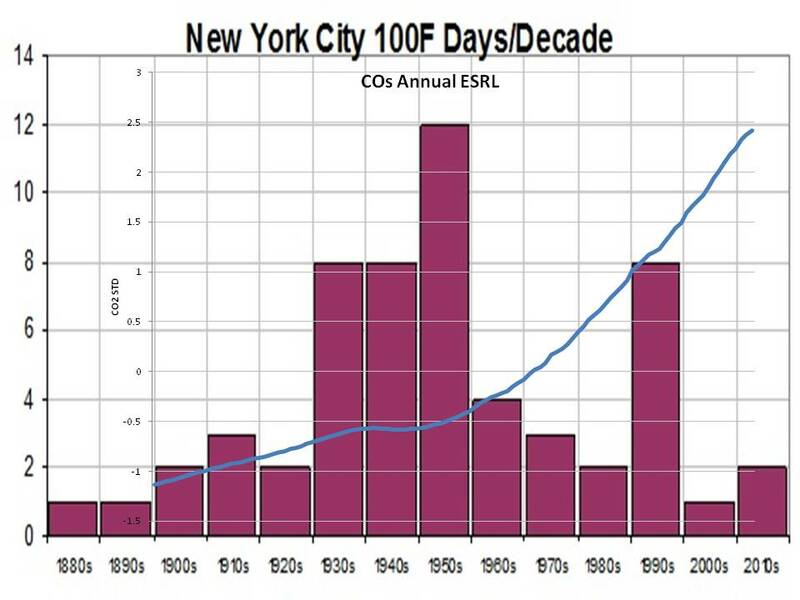 The charts above would show only 150 record highs from that decade, not 500. At least I’m fairly certain this is the case; otherwise, the total number of data points would be a lot higher. 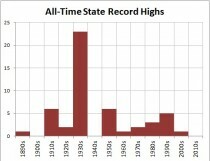 For example, there are only 600 data points for the state all-time record highs chart (12 x 50 = 600). But presumably most, if not all, of the states set new records during multiple decades, which would mean there would be far more than 600 data points if the way the above posters are interpreting these charts is correct. Yes, of course the frequency of records shows decay over time. But here, as is probably true with most National Weather Service recordkeeping, a tie is replaced with the current year. So the fact that many high temperature records from the 1930s still stand means that they have not been reached or tied in that time. (In the Kansas City area, about one third of the summer highs were set in the 1930s; the other 2/3s scattered around the other 120 years or 12 other decades.) My conclusion is that the 1930s were hotter than more recent times. Can anyone explain to me why that is not true? Thank goodness there are at least some people here who can spot the mathematical mistake in this post from Real-Science dot blog, so I don’t have to address it. The conclusions the post draws are nonsensical. Maybe Real-Science should actually be called Fake-Science. But why did this post even get posted? This point was made and debunked back on the “Eastern U.S. Heat Wave” post. Seems like some re-tread arguments that have already been debunked are being rolled out again to fool …. well, who? As for Aleo’s post, he’s avoided addressing the issue: What has happened to summertime NH mid-latitude temperatures in the last 30 years? Answer: they are warming, and there now seems to be more severe periodic heat waves, while other neighboring regions experience spells of colder than normal temperatures. Some of the states in the US southeast are on course to have their three hottest summers ever, in a row! This is an extremely unlikely event in a random system. If the emerging El Nino really kicks in, then 2013 should be the hottest year in the history of human civilization. Couple this with low Arctic ice pack influence on the jet stream Rossby waves, and next year should see some really severe weather patterns. I just went to NWS and counted high temperature records. For the summer (June, July and August), in Kansas City, there were 49 high temp records set in the 1930s–that is over half of the 92 days in those 3 months. So again, what is the argument that the 30s were not warmer than now? James Sexton has it right. When you’re looking at records time doesn’t come into play. The old records still have to be higher than anything that has happened since then or it wouldn’t be a record. If you are looking for a change on the order of 1C, and your temperature has a range of about 30C, then no, you are not looking for a record number of new records. You are looking for any statistically significant deviation from the expected decay trend. I happen to believe global warming is horse shite, but that’s no excuse for bad math. You can model this with the RAND() function in an Excel sheet. It’s entry level science. Please note that the records do not say how they are based. If May 1 of 1930 is 99 deg and May 2 of 1930 is 98, but then May 2 of 1933 is 99, has a new record been set? It’s quite possible, depending on how they’re counting. I don’t know. In all cases, the number of observations would still trend to zero at consistent temperatures, but because there are so many days in the year, and temperatures are recorded GIVEN a specific day, there’s enough places for new records to take place that you don’t see the descent for a prolonged time period; centuries as opposed to the decades of data that we have. In any case, the distribution looks log normal, skewed to the right. If that’s the case it supports the article just fine. But we need more data, and we need to know how they’re scoring their mapping process. That distribution looks log normal, skewed to right. How does that not support this article? It’s a daily number aggregated into a year – so if May 1, 1930 is 99 degrees and May 2 1933 is 99 degrees, is that one record set, or two? Those of you arguing that observations of record highs should trend to zero are forgetting that there are a lot of days in the year to set a daily record. Just because at stable temperatures, the observations should trend to zero, doesn’t mean that’ll happen quickly. It could take centuries of recorded datum, rather than the few decades we have now. For those arguing there should be an exponential decay in the number of records by year, I think you may be confusing what the chart shows. 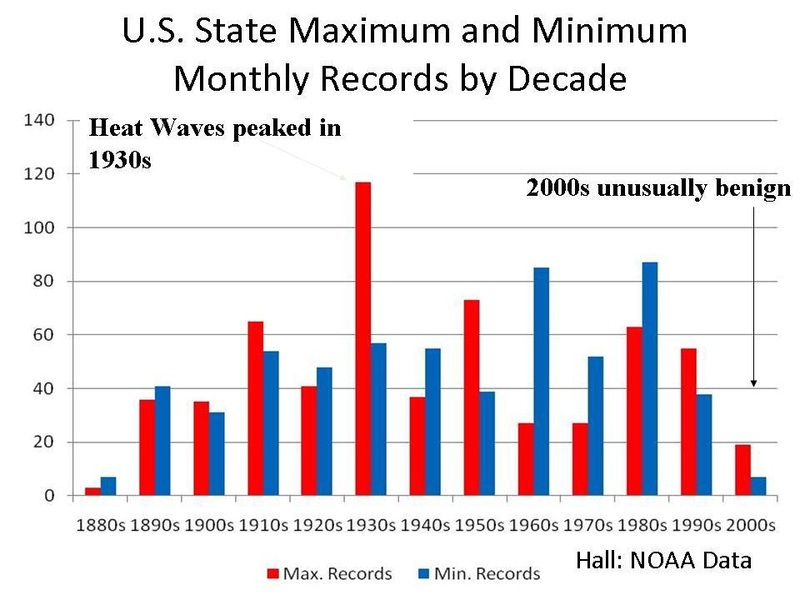 It doesn’t show the number of records *set* in a year, but the number of record *high temperatures* over the entire record that occurred in that particular year. There should be no expected exponential decay in this measurement. You aren’t understanding the graph. It shows what year the record high was set for each station and each date. There is no bias based on the date. Sigh, let me try one more time. You guys are misinterpreting what is being presented, or rather why. We all understand the probabilities of records. We all understand the frequencies in which we would expect. This has nothing to do with temps, other than to illustrate that it was often times warmer in the past than today. You guys are focusing on the wrong graphs for the wrong reasons. 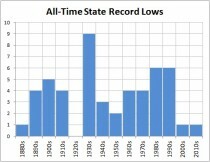 The alarmists are claiming that a record number of records are being broke. Please understand the semantics. Scroll back up and look at the first graph presented. Perhaps Anthony should have left it at that, but he presented the rest as to buttress the point, not for them to be the point. Read Anthony’s intro…… 2nd para…. Now read the graphs in this context. …… a record number of records [it has] never happened before [this is a ] direct consequence of CO2. <================ This is what is being rebutted. I don't take it as a statement towards anything else. This is not a distribution issue. If it were a Gaussian distribution of record highs by year, the line would be dead flat. The reason there is a spike in the 1930s is because there were a lot of all-time daily records set in the 1930s. This is the opposite of a normal Gaussian distribution – it is heavily biased towards the 1930s. I’d say the record was tied, not a new record set. But what do i know? PS The NWS 2007 list I put up did not include ties. The ones I have from 2009 and 2012 do list ties. You would have been right, thinking the 1930’s the hottest decade, as recently as 2000. However, it was subseqently discovered that man did not know how to properly read their thermometers back then. In fact, it was also discovered he did not know how to read them in the 90’s. Accordingly, the 30’s were adjusted down (because, that makes sense to somebody) and, the 90’s were adjusted upwards. Amazingly, silly man did not learn his lesson about the need for accurate thermometer readings. So, temperatures measured since the end of the 90’s have also had to be adjusted several times in the last 12 – 13 years (you guessed it, upwards). I am completely at a loss to understand the dissonance being displayed by some. Every day we hear that thousands and thousands of record highs are being broken. If that were the case, there would be a spike on the right side of the graph. Every year has an equal chance of setting the daily record at each location, but in a warming world the right side would by trending upwards. According to Jeff Masters propaganda, it should be trending upwards rapidly. Obviously that is not the case. Long time daily reader but never comment but found this interesting. http://www.usatoday.com/weather/wheat7.htm The all time high record for every state. Entire 1800s two 1900s zero 1910s five 1920s two 1930s twenty four 1940s zero 1950s five 1960s one 1970s two 1980s three 1990s five 2000s one. wow.. any chance we can get a simple explanation of what “record” means in the context of the post? Presumably, a record can be set, the broken again by a new record. Just means that there was a temperature spike in the 1930’s relative to previous years, doesn’t it? Doesnt say anything about temperatures in subsequent years, does it? The record for July 17 in Tucson Arizona is the hottest July 17 on record in Tucson Arizona. 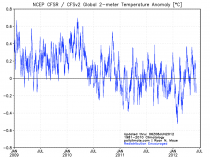 Tim Wilson says Doesnt say anything about temperatures in subsequent years, does it? Yes it means no year since then has been as hot or hotter. For example Oklahoma where i live has a record high of 120F set in 1936, 1943 and 1994. On ties it goes to the most recent year which makes it look warmer in recent years. Dont know how to make it any more plain on the meaning of all time record. Lol, but then if that happened, they wouldn’t be alarmists, would they. I find it difficult to understand how so many of you people fail to understand the graph. It is not difficult , it does not require a course in statistics. Of all the records listed by the graph they are still the record. And more records were set in the thirties. Of course after adjustment by hansen and other hacks they won’t be records anymore. Global warming does not cause Hurricanes. It doesn’t heatwaves. Nor climate change. Nor increased snowfall, nor does it cause tornadoes. Nor the endless lists of things which the press has said and continues to say is caused by global warming. A warmer world does not cause hurricanes, heatwaves, climate change, increased snowfall, or tornadoes. The greenhouse gas CO2 is said it cause the the world be warmed, but the rising CO2 levels over the past 1/2 century is not known to cause a specified amount of warming. Over a century the measured temperature from many weather stations around the world indicate that the average temperature may have risen by less than 1 C. No scientist written any paper that provides evidence that .5 C or half [or more] of this warming has been caused by CO2. But if rising levels of CO2 has cause .5 C rise in global temperatures, this would not cause more heatwaves, hurricanes, climate change, or the endless amount things that routinely said to be caused by Global Warming or Climate Change. But what such small amount increase in temperature would have some affect upon is melting glaciers and after centuries of time this could have significant affect upon glaciers. And globally glaciers have been mostly retreating, with few advancing. And about 150 years most glacier stopping advancing and began retreating. The retreat of glaciers [mostly in Temperate Zones] was most dramatic in the early part of 20th Century, and the glaciers are still retreating and may continue retreating for centuries into the future. And the Ice caps in arctic regions have much colder average temperature and are unlikely to have much melting within a 100 years. For Warmists who are still convinced that the heatwave is a sign of climate change here is something from a recent WUWT post. Climate in a narrow sense is usually defined as the “average weather,” or more rigorously, as the statistical description in terms of the mean and variability of relevant quantities over a period of time ranging from months to thousands or millions of years. The classical period is 30 years, as defined by the World Meteorological Organization (WMO). To the best of my knowledge the IPCC looks at years and not months or even a week as has been done with the current heatwave. It’s just the weather and not the climate. Your donations helped us maintain the site and provide some support for the time invested in keeping it updated. As others have pointed out, the graph of record daily maximums at the top of this post actually tends to confirm global warming, rather than suggesting that it was warmer in the past (the 30’s). After over a hundred years of record taking, one would expect that today’s record daily maximums would be rare if the average temperature had remained constant over the past century. In other words, we should see the data points for recent decades oscillating between zero and some arbitrary value, with that arbitrary value declining with time. Instead, we see them hovering between the 2000 and 4000 mark since the late 70’s. Also, Anthony Watts, being well informed of such things, should be acutely aware of all this. So why did he publish something that he knows to be misleading? “Records” are always set up at the very beginning of recording. No surprize, most of the records set in 1930-ies. 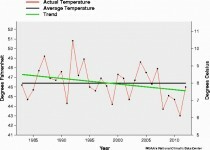 In a non-warming world, the right side of the graph would FALL DOWN RAPIDLY. In a warming world – as we have it! – the right side of the graph is steady. We continously get new records due to the warming trend. Pure speculation. This alleged consequence of low sea ice was never predicted by all the glorious climate models before one GIGO study in 2006. Since then the alarmists have latched on like rabid bulldogs. There are lots of problems with this theory however, not the least of which is there is no correlation from sea ice patterns to blocking patterns. That just compounds the siting problems. The extra gravel around Reagan National Airport ASOS for example will preclude new record lows (raises temps on radiational cooling nights). Other site and heat island effects will cause fewer record lows even if they don’t cause more record highs. paul k2~ your non-response was entirely predictable. I shall have to trust your forecasts as much as I trust your hind-casting- that is to say, NOT at all. Another thing to consider- record highs are for one day in the year, so we are not talking about record warmth for the year. You can have a record high on Jan 1st or August 1st so, obviously the max temperature will be quite different. So in one year at just one spot you have 365 opportunities for a record over a country with a slew (somewhere between 10,000 and 1,000,000,000) recording thermometers, some there forever and some recently in place. I fell into the same trap as many with the logic that there should be a decline in records once one is set. But that assumes a perfect world of measuring stations (no change in locations, all starting at the same date and no new stations). Add that each can have a new record 365 times in one year and it may have only been there a few years. You only have to look at the difference in population in 1930 compared to today. That makes for a lot of new recording stations.. So the graph is a good tool for the general trend as there are just too many variables. As a few are pointing out, re-read the graph as answering the question: how many stations had their highest temperature evah set in each decade? Take station xyz; in the 1920s it set a record, which was eventually exceeded in the 1990s. It now counts as one station in the 1990s, but not in the 1920s. Station zyx, OTOH, had set a record in the 1940s, which was exceeded yesterday. It now counts as one in the 2010s, and one is deducted from the 1940s. Paul K2, I now see you posted quite a bit on the other threads about the theories of the jet stream being modulated by Arctic ice. Many of your references were to Johnny-come-lately climate alarmists who have very little background in jet stream dynamics but lots of training in low Arctic sea ice and other supposed disasters. Mostly you and those alarmists have it backwards, the sea ice patterns are a consequence of weather patterns rather than the other way around. For example the exceptionally high levels of sea ice around Alaska this past winter were a consequence of the jet stream staying farther north with a slight dip over Alaska. 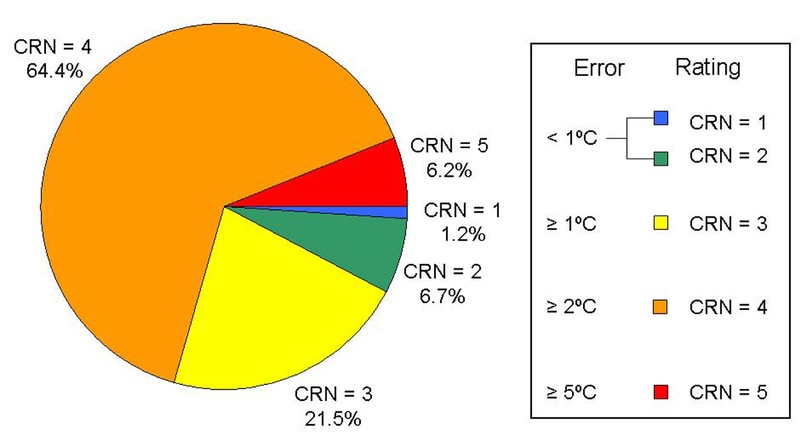 That is in fact the consequence predicted by climate models which neither you nor your references are aware of. In fact low sea ice should cause less blocking as the E-W temperature differential increases and subsequently increases the jet. It is a very poor reflection of the state of climate science when such scientists attempt to blame east coast snowstorms and other consequences of blocking on low sea ice. They simply have not studied the models from the past and are grasping at the straw that assigns the most blame to mankind. I am sorry that you are having such a difficult time understanding such a simple concept. Perhaps this will help? If you have further questions, please post them there. No Alex, you’re not understanding what you’re seeing. Try again. I’m not sure what you’re seeing, but if one puts a trend line on Steve’s graph you can clearly see a declining trend. The graph is a graph of current records. My goodness this isn’t a hard concept to grasp. The numbers on the vertical axis refer to how many “reigning champion” hot days (i.e. days that had set the still-standing record for highest temperature in a particular region) happened in a given year. That means that every day since 1895 is in fair-and-sqare competition with every other day since 1895 for the record. The “winner” of the record – for each particular region being considered – is the day when the temperature was hotter than any other day between 1895 and the present. ( I will set aside the issue of ties.) The graph tells us how many of such “winners” happened in 1895, 1896, 1897, and so on. The bottom line is that there is nothing misleading about the graph. The points for the past few years are lower than the points for most previous years because the past few summers have really not been as “impressive,” at least with respect to local daily maximums, as the summers of most past years. Gee, I sure hope that makes things less confusing, not more! It might be worthwhile for Anthony to add a little blurb explaining the graph in the post itself, for future readers’ sakes. In the period of 10 years including 1930 to 1939 I was able to stack a total of 62020 bricks. However, in the period of 10 years including 2002 to 2011 I was able to only stack 23951 bricks. Of 372,989 total bricks available, in ten years periods compared to recent, most were stacked from 1930 to 1939. In fact, a rolling ten year average starting in 1936 may even show a declining trend…just maybe. Sorry, Steven. No formula – nothing to discuss. Anyway, your assertions are false. The temperature recordings in the U.S. started earlier than 1900. That is why there is no “Y-asymptote” at the left of the graph. REPLY: And NCDC, GISS, and others generally don’t highly cite pre 1900 records since they are most likely invalid due to improper thermometer exposure. The US Weather Bureau commissioned the Stevenson Screen at its inception in 1892, and it took a few years for them to make it the standardized exposure throughout the surface observing network. Prior to that there was a wide variance in thermometer exposure, including being mounted on the north side of buildings, under trees, out in the open with varying sizes of shelters, and even in direct sun. For this reason, pre 1900 records aren’t always representative of the true air temperature. If you look at older plots pre-1900 you’ll see that they have a much wider variance (partly caused by this issue, some natural too) that post 1900 data. Chenoweth, Michael, 1993: Nonstandard Thermometer Exposures at U.S. Cooperative Weather Stations during the Late Nineteenth Century. J. Climate, 6, 1787–1797. The nonstandard thermometer exposure practices at 118 United States cooperative weather stations in 1883 and at 394 stations in 1903 are documented from one unpublished source and one published source. Changes in the exposure practices that resulted from the introduction of the Cotton Region Shelter (CRS) in the 1880s are described. As of 1883, there were five types of thermometer exposure in use at cooperative stations: (i) screened thermometers in freestanding screens (9.9% of all exposures); (ii) screened thermometers attached to north-facing walls and windows (23.3% of all exposures); (iii) unscreened thermometers attached to walls and window casements (50.0% of all exposures); unscreened thermometers attached to porch columns and separated from the main body of the building (13.9% of all exposures), and (iv) “Glaisher-type” stands and exposures (2.7% of all exposures). By 1903, 77.7% of all stations used free-standing screens, and 14.5% used north wall screens; the remaining stations (7.8%) did not use a screen. Free-standing screens were almost certainly not in use at cooperative stations prior to 1881. In addition, the following features of nonstandard exposures are documented: thermometer bulb heights above ground, the wall azimuth of thermometers, the construction material of the buildings on which the thermometers were exposed, the placement of thermometers with respect to the type of building material and to windows and walls, as well as the susceptibility to artificial heat bias. Based on the details of thermometer exposure practices in the nineteenth century, the published literature, and early results from new field studies in England, which attempt to reproduce historic nonstandard exposures, a positive average annual temperature bias of 0.2°−0.3°C is estimated for the years preceding the late 1890s; the bias probably falls to near 0°C by 1903. Global climate change is not about the number of record highs or record lows in the United States. 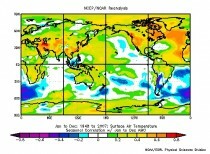 It is about an increase in the MEAN temperature WORLDWIDE. You can have, say, 20 record highs one year, and 10 record highs two decades later, but that does not mean that the mean temperatures two decades later are LOWER than the mean temperatures two decades earlier. In fact, we could have an entire year with ZERO record highs broken, but the mean temperature for the year could still be higher than the mean temperature for a year in which 50 record highs were made. This entire article is math and climate-illiterate. Good job here. For the records, I think the tied years should have been added several times in the graph, and the total should have been divided by the number of valid measured temperature for the day. I made an error in my previous comment. 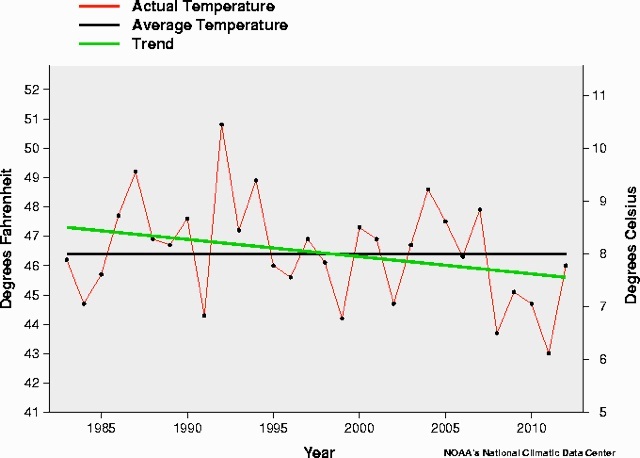 The total for each year should be divided by the number of valid temperatures measured during that year. So the graph would show the percentage of record breaking day for the year. 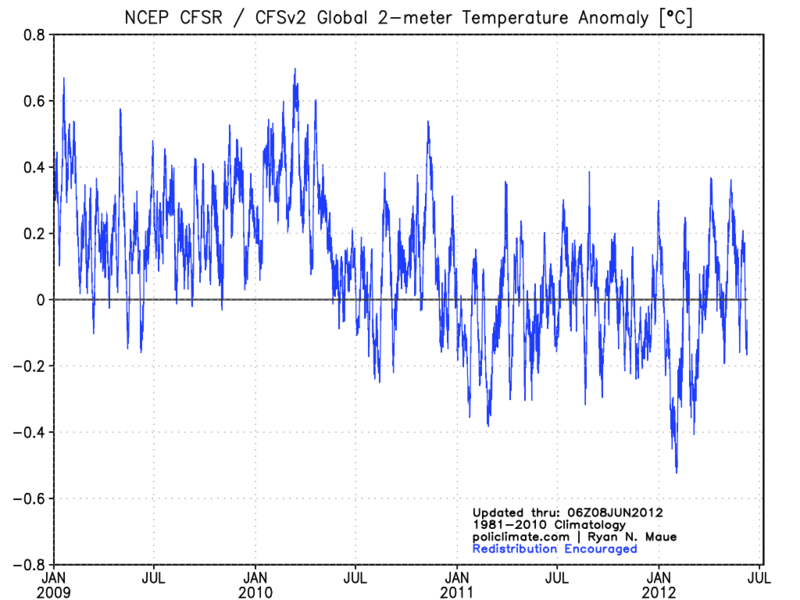 BTW, U.S. temperatures are an anomaly compared to GLOBAL temperatures. Note how for the most part global mean temperatures have been rising almost steadily, and CURRENT global mean temps are SUBSTANTIALLY HIGHER than the U.S. “record highs” in the 1930s. Of course, the WMO also suggests that if you’re going to observe climate, your averaging periods should be 30 years in length, and ending with the latest whole decade (2000, 2010 etc). That’s why the most believable of the datasets (GISS, because of their addition of an ESTIMATE of Arctic temps) still uses 1951-1980 as their reference period (a 30-year period, ending on a whole decade, but 32 years in the past). If they ever did decide to follow WMO guidelines, their “zero” would rise, and today’s temps wouldn’t be as scary as the current .55 degrees above “zero”. I mean, even HadCRUT4 uses a later averaging period – 1961-1990. Again, a 30 year period, but 22 years in the past. Of course, they don’t include the Arctic estimation, either. At least the NCDC is closer – they state their anomalies are based on the period 1901 – 2000. Longer than a 30 year period, but ends 12 years in the past. 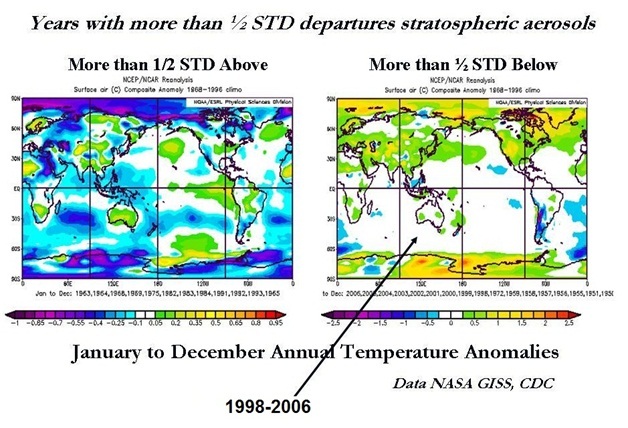 None of them base their anomalies on what the WMO would recommend: a period 1981 – 2010. Let’s use that period and see how the anomalies of the last 2 years stack up. This all may be true. Yet, a record-setting of a normal random process saturates VERY FAST. See, e.g., here: http://www-wt.iam.uni-bonn.de/~bovier/files/extreme.pdf and the formula (1.23) in there. So that the plot of Steve would be nearly zero at the right part without a warming trend. The daily “records” getting parroted in the media are such a mish-mash of events …. The highest June 13th EVA for the US! The highest temp EVA recorded in [SNIP: C’mon, now. -REP], CA! Many thanks to the commenters who showed me my confusion with regard to cascade effect (lack of) in comparing record tempertatures on a year to year basis. I wouldn’t have thought it would be so hard for me to understand, but i can see i had it wrong. Please reconsider the above statement, which would imply (IMHO) that your Current Global Mean temperature would be over 100ºF . Global” it should be happening here too. then I would have to ask, what they are doing wrong everywhere else. I await the day when an accepted method to subtract out anthropogenic waste heat and albedo modification effects is deployed. That would make anything from about 1920 onward “colder” with the most massive adjustments probably impacting 1990 – 2005. After 2005, stagnant growth in the advanced nations combined with overt efforts to cool the surface would somewhat lessen the required subtraction. Now THESE are my kinds of adjustments! LOL! I didn’t get you wrong. I’d like to email the spreadsheet to someone who could use it but I don’t know how, meaning I couldn’t find a way to send an attachment, and of course, email addresses of commenters here aren’t made public. (And they shouldn’t be.) I took no offense. Maybe someday I’ll look at the lists and note the changes and summarize. I notice more all the time. Today was the first time I noticed some of the tied highs weren’t listed as ties. Only the later year was listed. PS I have the spreadsheet so I don’t need it back. Thanks. The meteorologist Dr. Jeff Masters at Wunder blog has a post up showing that the heat wave has resulted in a third consecutive record hot rolling 12-month period for the US. The chance of this happening randomly is… wait for it… 1.6 million to one! The plot of record 12-month temps show that the recent 12-months had an average temperature over half a degree hotter than the hottest 12 months encompassing the super El Nino of 1998, a big margin when assessing 12 month averages. The post also shows the key figure from a report showing the US Climate Extremes Index hit an all-time high. In spite of a great of reluctance to accept the data showing more extreme weather, the Index indicates that more extreme weather is hurting America. Who is talking about normal Guassian distributions? I remarked that the data looks distributed in a log normal distribution. I will say that I’m now confused about what rules this data is assembled under. I was under the impression from reading the graph that this is data that is collected each time a record temperature has been broken. No, I don’t think that’s how this works. The “daily record” portion of the title implies the record for each day of the year, measured against itself over many years; X given Y. 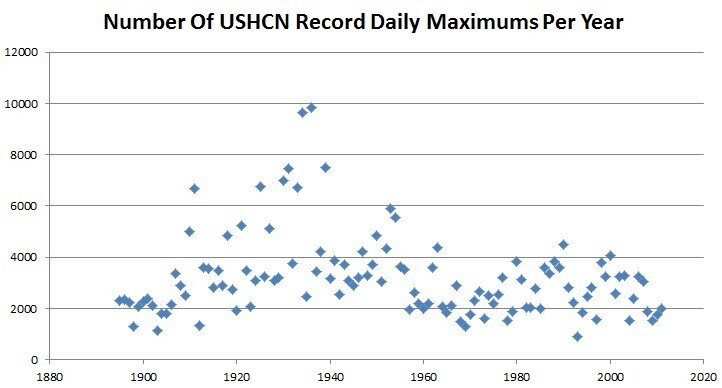 If mean temperatures were increasing that much, you’d still have a ton of records being set each year. The gains have to come from somewhere. Apparently, you weren’t alone in that assumption. I’m not Steve, but, let me try to explain……. It is a collection of records per site per day…… the current records. So, when you look at the graph, in the mid 30s, for a couple of years, we see that nearly 1000 records were set and still stand!! Again, this is per site, per day, and then grouped by occurrences of that particular year. If this had been a graph of each time a record was broke, then the first year would have had the highest point on the graph. Essentially, this is a look back at history. It asks the question what are the current record temps for each day of the year for each site and what year did this happen and how often did this happen per year? The last two questions were plotted. On June 28, 1778, the American Revolution Battle of Monmouth (New Jersey) was fought in 100-104 temperatures. Many losses on both sides were due to heatstroke. LMAO! Thanks Paul! Yes, 1.5% area of the globe having a warm spell, 1.6 million to one….. love it! Explains a lot. James Sexton and Terry Stern: The cost of the changing extreme weather trends due to jet stream changes on crop losses are nearing ten billion annually in the US alone. And there are the lives lost due to persistently high temperatures in the summer. Do you have have a plan to compensate for the loss of farms, ranches, fisheries, and forests? How about the cost of the lives lost? But wait, there is cost of the flooding and abnormal weather in England right now. And how about the heat wave in Central Europe, and then moving to the other side of the stalled Rossby wave in the jet stream, we see the extraordinary flooding in Russia. And so forth around the planet, we can see the impact of the slowed jet stream, and persistent blocking patterns in the weather systems. You need to learn a bit about meteorology, and I suggest you get off this site and find a meteorologist like Dr. Jeff Masters. Read his posts on changes in the meteorology systems, and especially the post where he talks about Dr. Jennifer Francis and other meteorologists who are examining changes in jet stream patterns caused by loss of Arctic ice and reduced NH snow cover. We are only talking about severe heat waves, precipitation events, cold spells (especially in the winter) all through the NH mid-latitudes where billions of people live. Paul K2 needs to learn something about the climate Null Hypothesis, about which he is obviously completely ignorant. The Null Hypothesis has never been falsified. Simply, it says that current parameters such as temperature, precipitation, hurricanes, tornadoes, etc., have not been exceeded. Therefore, there is no “abnormal weather”. There is only abnormal pseudo-science, which K2 keeps flogging here. Paul K2 needs to take some time out, and learn about the Null Hypothesis. It is clear that he does not understand it. Even Kevin Trenberth understands it, which is why Trenberth wants to reverse the Null Hypothesis and put the onus on skeptics. K2 is simply not up to speed on the subject. Thus, his arm-waving over “abnormal weather”, which is only a figment of his imagination. Weather is weather, and nothing “abnormal” is occurring. It has all happened before, and Holocene parameters are not currently being exceeded. I changed the algorithm to remove any bias. Instead of assigning the *all-time* record temperature to the first or last year it occurred, I now assign duplicates to all years which reached the record. This changed the shape very little, but increased the total number of records. A record temperature is marked if it is the highest temperature at a given station on a given day of the year, relative to all other years which have records at that station on that date. When you hear that a record high was set in 1936, that means that the all-time record high was set in 1936. Those are the records that I am plotting. Paul, First of all, the jet stream was never in a static state. Secondly, there is no change in extreme weather trends. That’s a work of fiction. And, demonstrably false. Regardless of what you believe about the graphics shown here, we note there is no upward trend on local temp records being broke. Hurricanes, droughts, tornadoes and floods, all have a slight to moderate decrease in frequency and severity. Weather events have always been the bane of farming, being acutely aware of and in constant contact with an agricultural community, I can say, there is no out of the norm loss. In fact, global food production continues to increase, as it has for centuries. Yeh, globally this is the 3rd coolest in the last 15 years. Oh, btw, there has been no decrease in NH snow cover for over 20 years. http://suyts.files.wordpress.com/2012/04/image_thumb90.png?w=652&h=389 (graph derived from Rutgers, all seasons) So, I’m wondering what Masters thinks he’s studying. All other assertions about weather events will be happily shown upon request. Paul, at some point, not only compensation will be brought up, but also the pursuit of justice. You’d do well to actually look at the numbers and facts yourself and quit believing the hysteria driven misanthropy we call CAGW. Get up to speed guys, the US climate extremes index has been around for awhile, the data extends back before 1900. The index has never been this high before. There are more severe weather events in the US, costing money and lives. Yes, you have. I regularly have a good laugh at Dr. Master’s expense. I’d suggest look into what goes into those numbers. I mean really, didn’t you say Master’s was studying the effects of the loss of snow cover? Now, if you’d followed my link, and understand that the data comes for the foremost snow cover tracking entity, and see that we haven’t had any snow cover loss in the last 20 years, what does this say about the information he’s providing? Never mind attaching any cause to any perceived increase in any imaginary extreme events. You did not get the point of of my comment. The point was that the present heat on the east coast is not unprecedented and such events predate the industrial revolution. I don’t understand how you concluded that I need to learn a little about meteorology. I can conclude that you are a presumptuous jerk. I have no plan to do anything in relation to climate change. I don’t feel there is anything that can or should be done. Weather events will continue to be inconvenient despite efforts to eliminate them. As to your comment regarding abnormal weather in England, there is no normal. Weather will fluctuate periodically. Here in Southern California the weather has been very pleasant. I have no desire or intention of getting off this site. Your suggestion that I do so is asinine. Thank you James Sexton and Smokey for covering well some of the other PK2 gibberish. Paul K2, can you explain why the “9 point binomial filter” in the US Climate Extremes Index continues to the present year rather than stopping 5 years ago? Also how much of the climate extremes is due to natural variability? It seems to me that AGW simply adds an extra bit of heat to a heat wave (thus also a bit of extra dryness in a drought) and is no responsible for the bulk of the deviation from normal. Been around since 1995, about as long as I have studied AGW. I don’t suppose we have similar graph (similar to the first one shown) of record lows? The lower graph (state lows) appears to show that we have been getting more record lows recently than record highs. I’m going insane! So should I buy coal? Or move to the mountains to stay cool? They’re coming to take me away, heehaw… tree rings? Records? Government putting stuff in my water. My A/C broke last night… 101 out in L.A. this AM was 69… gawd… I just don’t know. I work in the field. Even though it’s LA, you’re water is probably fine. Just don’t drink the Kool-Aid.